11th October 2013. EOTopo Maps; Track Alerts; ExplorOz Blogs; Apparel Clearance; New GPS & Topo 250k Map Pack; Today's Super Specials! New to ExplorOz this week is EOTopo - this new map set integrates the latest topographic map data for the whole of Australia with shaded relief and ExplorOz data to produce the latest series of online topographic maps available for Australia. This a first in Australian online topo mapping and provides a 3D look to a 2D map. EOTopo now replaces the topo base map layer previously used in ExplorOz Places (and also ExplorOz Trek Notes, User Treks, EOTrackMe, Shop, and all mapping outputs). Take a look - we think you’ll agree this greatly enhances the information you have at your fingertips when browsing our online maps. You can also view the mapping in full screen on the EOTopo page. For more info see Site Updates. Although offroad track conditions are mostly stable across the country there are bushfires and controlled burn offs producing hazardous smoke in many areas of NSW, QLD and along the Leonora to Laverton Road in WA. New South Wales - many coastal areas, plus Abbotsford Bridge, and Marrarhoon near Cooma. Victoria - Kyneton, Myrtleford, and Reedy Creek, Shepparton. South Australia - Fires reported out but still a total fire-ban. 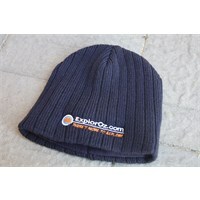 Don't forget to submit your anecdotal comments (Travellers Comment) in the ExplorOz Road Conditions pages. 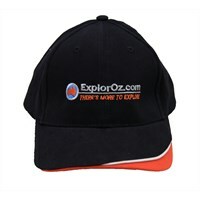 If you've returned from a trip and want to create an online trip journal for your friends and family then the ExplorOz Blogs system has a few handy tools that are specifically designed to create an accurate record of your trip. For example, you can embed the route map of where you've been using the "Add User Routes" button. This can be any data that you've used to create a User Track (eg. your EOTrackMe route saved as a User Trek, or a Driving Direction file, or a route file you've uploaded from a GPS/GPS Software). Find Out More on Creating User Treks. Quality Gear at an Unbeatable Price! Adding GPS tracking and recording to your existing Windows Laptop/Netbook is easy with this hand-picked collection of our most recommended items. Buy now and save over $50. Includes a GPS Receiver, Mapping Software Program and Australia-wide Digital Topo Maps. *Bonus - Free Membership included for non-members.